Well, ghouls and boys, the poll has closed. PREPARE TO HAVE THY FLESH CONSUMED! THE GOLDEN AGE OF SURVIVAL HORROR HAS BEEN CHOSEN. I will update the OP of this thread soon and will create the new thread on October 1st. 1. No games after 2004. 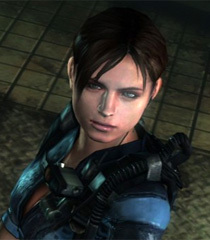 The golden age of survival horror ended with the release of Resident Evil 4 and the transition to action horror. 2. Games from before 1996 will be allowed, though I suggest in moderation. Titles like Haunted House, Sweet Home, and Alone in the Dark give an understanding of how the genre developed from the early days. I would prefer people focus mainly on its primary offerings, but I see nothing wrong with education. 3. While "classic" survival horror is third person with fixed camera angles, there is actually a wide variety of styles, including chase titles like Hellnight, first person games like Echo Night, and point-and-click titles like Clocktower (which also qualifies as a chase game). I will put together a list of recommendations from the golden age of the genre, even bad ones like Countdown: Vampires. Remake of RE1 or 0 works, yeah? Both came out before RE4. Just a casual observation; I do think cutting off survival horror games at 2004 is a bit tight. Games like Haunting Ground, Rule of Rose, Fatal Frame III, Forbidden Siren 2, Michigan: Report from Hell, Obscure, Obscure: The Aftermath are all cut closer to the classic survival horror cloth than Resident Evil 4 ever was. And those are just some of the post-2004 PS2 entries, to say nothing of other platforms from back when. That said, I am not questioning Ack's decision, nor suggesting he change his mind. He's the curator, it's his rules. Fair is fair. MrPopo wrote: Both came out before RE4. Well, I meant specifically the Xbox One HD ports of REmake and RE 0. I mean, I feel like they're still ports of the Gamecube titles so should count. It dawned on me that I haven't played REmake in about a decade now, and am pretty jazzed on the excuse to get back to that mansion. My other thought on a classic I'd like to revisit was Silent Hill 2 (via 360 HD port), though I've played that game more recently. OK, now I just need to decide what game to play. I already own Resi 0, but I'm tempted to pick up Resi 2 on N64 (I know it's not the best version, but as an N64 fan I can't not have it when it's so ridiculously unlikely a port) or Gregory Horror Show on PS2 to try instead. 2004 serves as a hard transition point. Yes, more survival horror games came out after, but the genre was at a turning point that resulted in its decline. The influence they had dropped away. As Resident Evil 4 serves as the catalyst of change, it is the bookend for the Golden Age. In truth, there are games even before it that herald the transition to RE4's style, but they come in some odd and interesting places. I would rather people find those and consider the evolution of the genre as Capcom made significant changes to what is perhaps the most important franchise in horror game history. Yes, this means there are some wonderful games being left out. Those are there for fans to continue to explore; I gotta have material for everyone for 2019, after all. Ports released after 2004 of survival horror games from before 2004 are acceptable. List of recommendations will be coming soon. The following list is of suggested titles for the Golden Age of Survival Horror Together Retro. While not all fit the traditional third-person tank controls and fixed-camera viewpoint, this is an opportunity to showcase the wide variety of styles and experimentation that survival horror came in. There are a few precursors in the list that predate the 1996 release of Resident Evil, but they're strong enough to warrant inclusion for curiosity' sake. Note: this list is not comprehensive. It includes many ports but not all, particularly those ports that came out in 2005 or later. I've also left off handhelds and PC games, but you can believe there are many, many games that fit the bill there. Take the time to explore and enjoy. Horror gaming has a lot to offer. As I said earlier, if you wish to look more at precursors, I'm not opposed to that. You can play Hunt the Wumpus all you like. There are many horror video games that are excellent and do not appear on this list, like Project Firestart. I want you to think about everything you see here, but I also want to encourage you to explore the numerous older horror titles that have been forgotten over the years. For me, every October TR is about educating others on horror gaming; I want you to find an appreciation for horror in video games, even if you don't find it to be your particular cup of tea. There are also numerous games from the golden age that would be great to share and play. Titles like System Shock 2, White Day: A Labyrinth Named School, CORPSE-PARTY, or Shadow Man are worth checking out. You have a lot of options. Don't think of the 2004 hard stopas a limit; think of it as an opportunity to explore many games you might never have looked at otherwise. Ack wrote: There are also numerous games from the golden age that would be great to share and play. Titles like System Shock 2, White Day: A Labyrinth Named School,... . I was going to ask about White Day. I've been fascinated with it for years. I hope somebody gives it a go, but... I may just play it myself. Kinda curious if I can handle it. I don't do well with being chased, and you're constantly tracked in that game. It may be stressful, but I am also curious and would love to hear your thoughts, Key.